Why can't this armor be used by the female characters so their PA looks tailor made and less bulky? This would look pretty good on my female character! With a few tweaks. 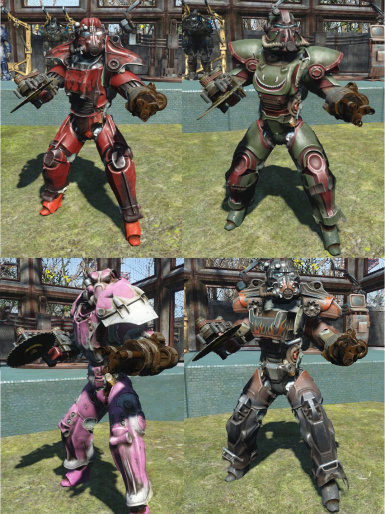 Always wondered how a woman that is 6 inches shorter and 25% less muscle mass than the male would feasibly fit the Power Armor without leg and arm extensions. bruh, what you talkin bout? 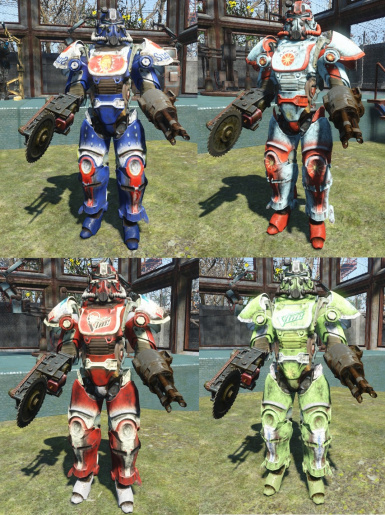 this mod is not for your character its for your robots lol. 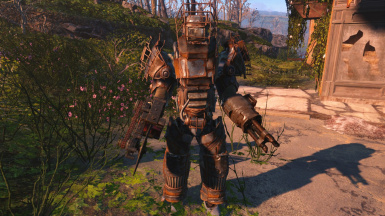 For some reason I can't build the PA arms and head for the Assaultron, just the legs and torso...fantastic mod though man! Great mod. keep it up! I'll definitely be checking this mod out when at home. Meanwhile, author, could you please think about adding those two big baddies to your mod? Nice work. Doesn't seem to be compatible with something in my load order though, it's not letting me dismiss one after recruiting. 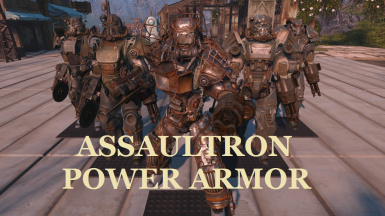 Would this mod be compatible with the Raider Power Armor Chop-Shop? 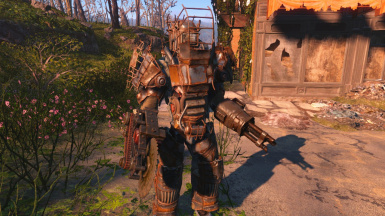 (The one that adds paint to Raider Power Armor) If not, do you plan on adding it? Would love to see the custom power armors converted to work with this.